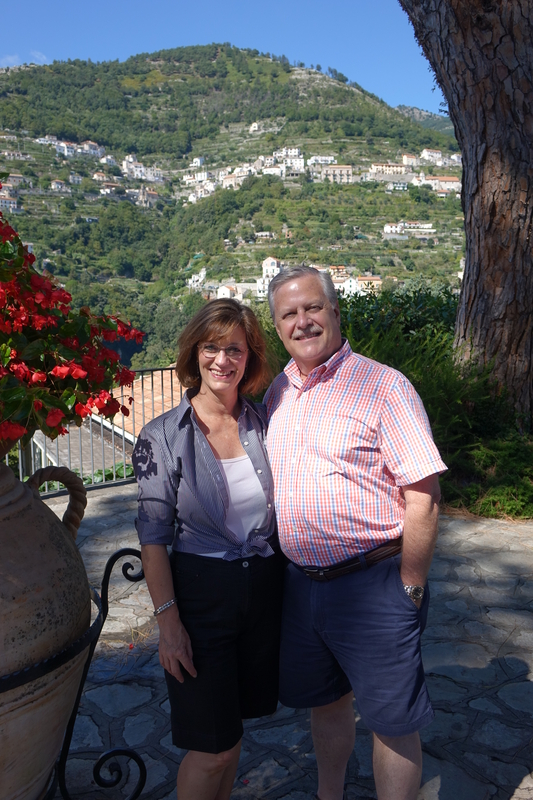 As some of you know, last fall I spent 2 weeks in Europe — a 7 night cruise on the Azamara Journey between Monte Carlo and Rome with additional time at both ends in Nice and Rome. In a nutshell it was an absolutely wonderful trip – the ship AND the itinerary. But since returning I’ve been thinking about what were my favorite things about the trip and my favorite stops. The weather – which we never have control over – affects your experiences and how you remember a port of call. 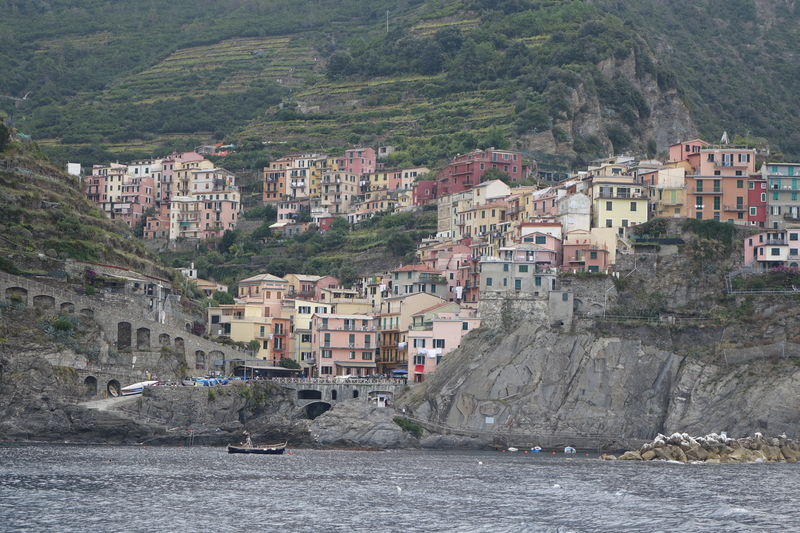 I’d so looked forward to Cinque Terre – the pastel painted villages that literally hang on the cliffs overlooking the azure seas of the Mediterranean. Well – our day there was overcast and a little bit drizzly at times. 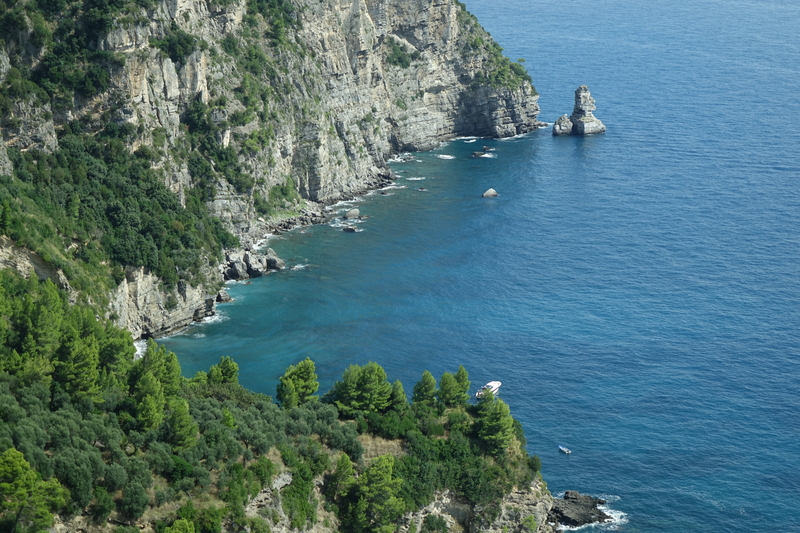 It didn’t ruin things for us by any means but in contrast to our stop later in the cruise at Ravello on the Amalfi coast – what a difference. 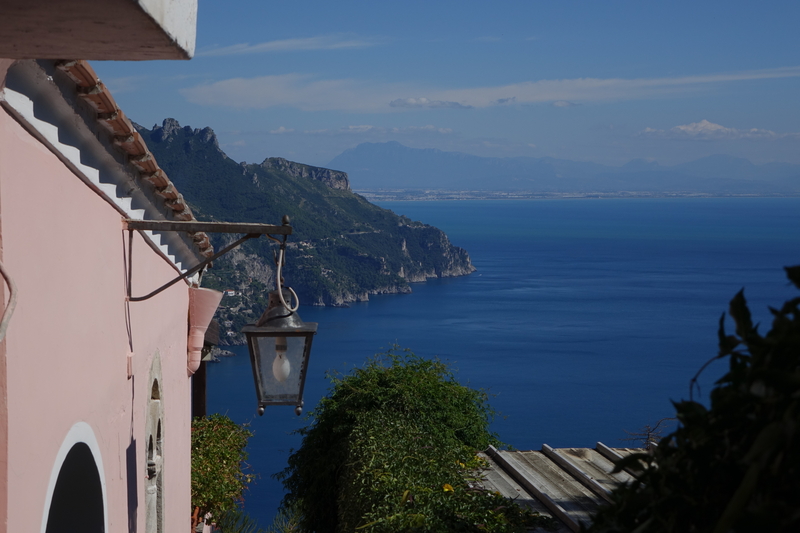 The weather was perfect and thus, in my mind, I would rank Ravello as one of my favorite stops on the entire trip. to the location of your hotel on a trip—which is something one DOES have control over. I have to be honest and say that while I was looking forward to visiting Rome for the first time I did NOT think I was going to like it. I had visions in my mind of a dirty, bustling city with somewhat rude people. Was I ever surprised in so many ways! Not only was it much cleaner than I expected – the locals were nice — and again it didn’t hurt that the weather was near perfect. But I think what really helped was the location of where we stayed. 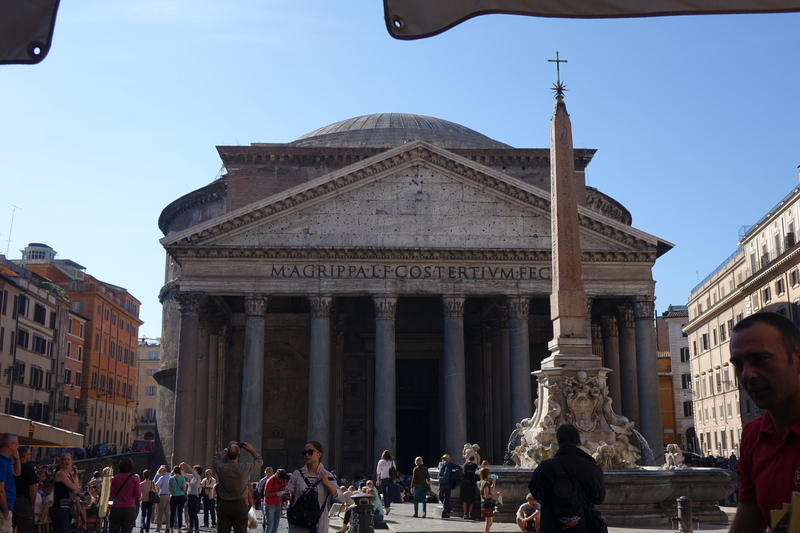 We were just steps down a side street from the Pantheon. 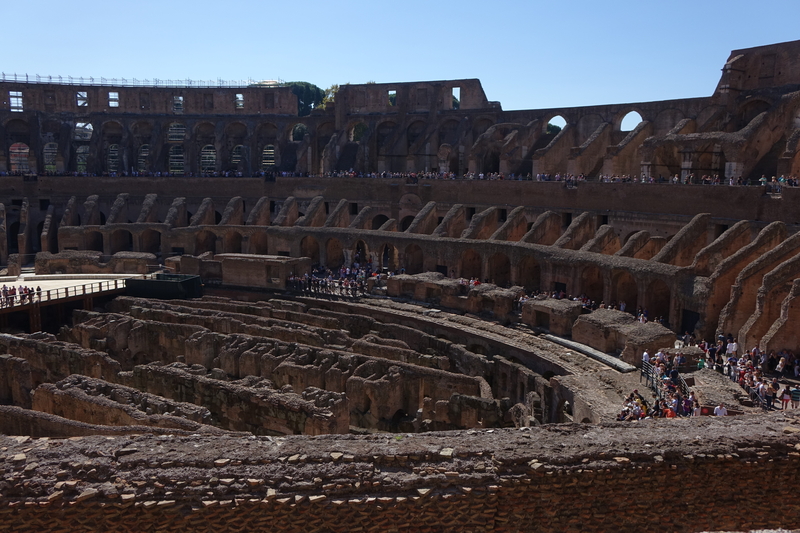 We walked EVERYWHERE – the Colosseum and Forum, Piazza Navona, and the Vatican. How many times do we “scrimp” on hotel costs rather than pay for location and thereby enjoy more of what a city has to offer? 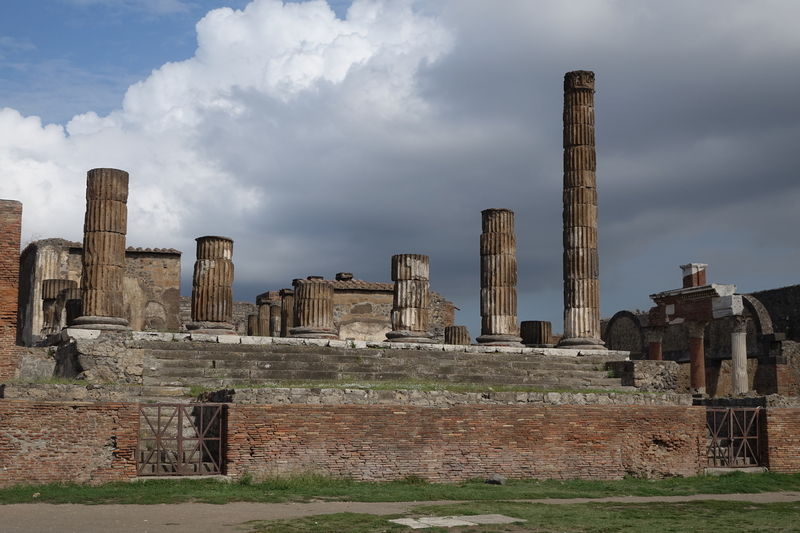 My cruise aboard the Azamara Journey was “AzAmazing.” The cruise line’s motto is “You will love where we take you;” and, I truly did. 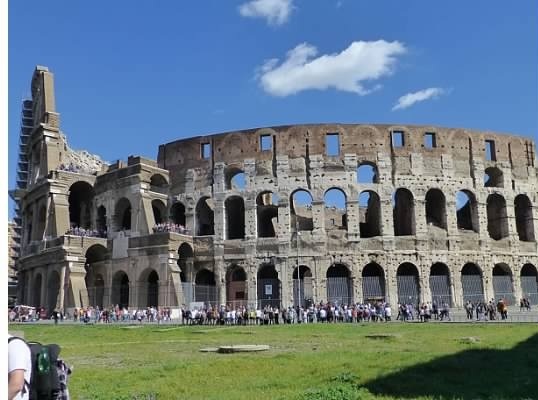 The voyage from Venice to Rome touched the ancient shores of the Adriatic Sea with distinctive shore excursions which immersed you into the countryside as well. The size of the Journey allows her to go beyond the traditional large seaports to smaller, lesser-known ports. 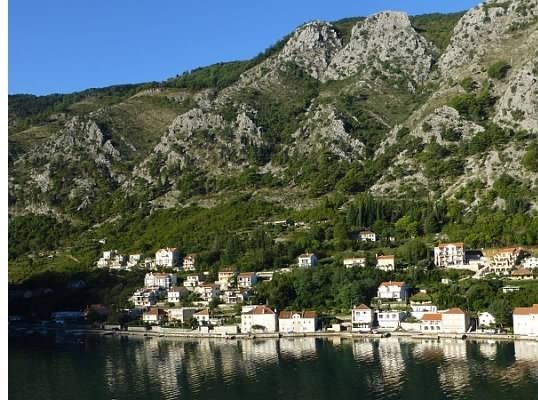 Our itinerary included beautiful Opatija, Croatia, once the resort of Viennese aristocrats, and the medieval walled city of Kotor, Montenegro, which is perfectly hidden in a maze of fjords. 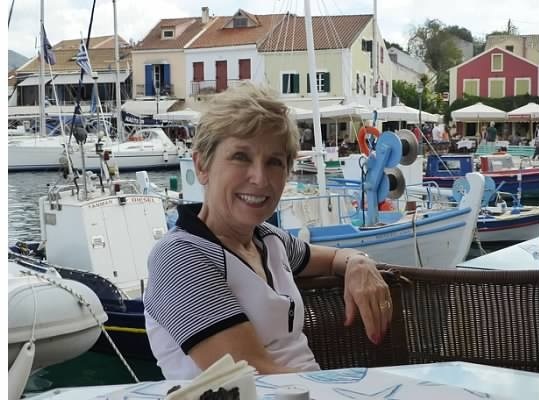 The tiny, pastel-painted port of Fiskardo, Celphalonia, which could be a sister to Bermuda and a mecca for day sailors, was a lovely respite for enjoying the day. When we visited Sicily, we were anchored at the base of Mt. 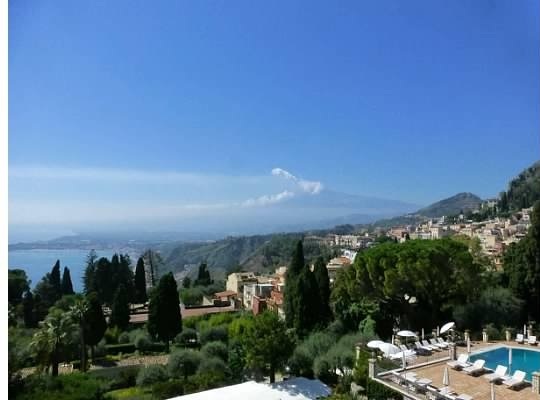 Etna conveniently located to the hilltop resort of Taormina instead of being docked in the large port of Messina which is miles away. Azamara offers longer stays in ports, more overnights, and night touring in their voyages. Our INCLUDED night touring was in St. Ignatius Square in the walled city of Dubrovnik, Croatia. It was an evening of music and dance presented by the word-renown Lindjo Folklore ensemble with samplings of Croatian food and wine. The walls of the buildings were even decked in neon lighting. It was truly an incredible evening that could have doubled for a Hollywood set. 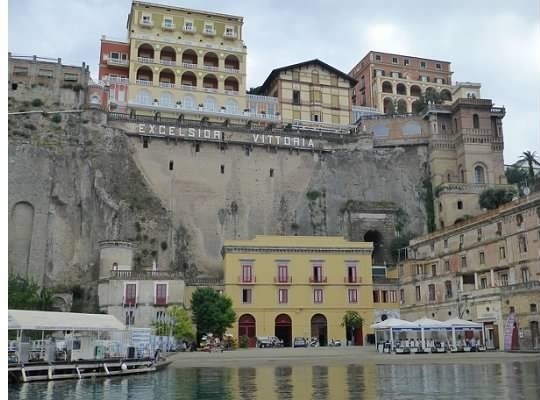 Our overnight stay was in Sorrento, Italy, perched on the rugged hills of the Amalfi Coast. Who doesn’t love the charm of that romantic town and to have two days there was a gift! The Azamara onboard experience equals a fine boutique hotel where service reigns and friendliness is genuine. You immediately get the feeling that the staff is a caring onboard family who treats you as a guest in their home rather than a passenger. The cuisine was always a delight and the two Specialty restaurants went beyond being “special” in creative presentation and delectable food pairings. 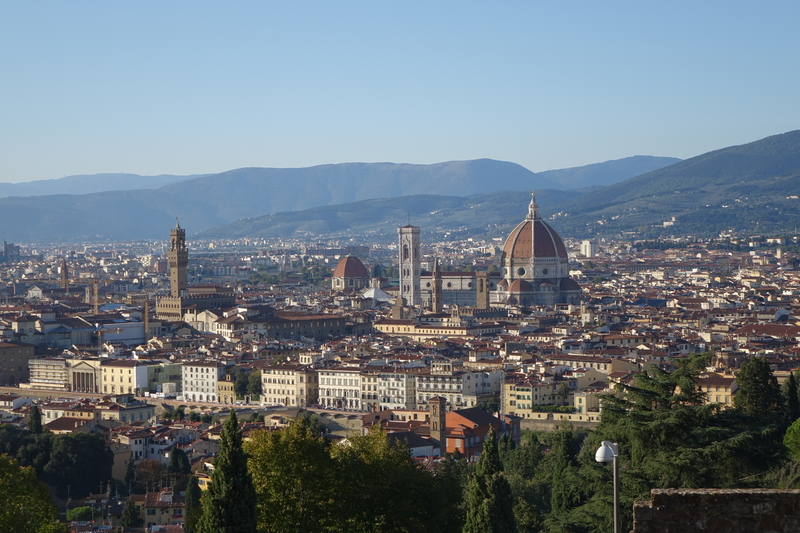 Voyages on Azamara not only include exceptional European sites but just about everything else. There is no extra charge for select spirits and international beers, boutique wines, sodas, bottled water, coffees and your gratuities are complimentary. So go beyond the traditional large ports and sail the up-market Azamara Club Cruises. You will love where they take you! My wife recently received a gift card for Godiva, so we set out for a trip to the mall to make our selections. Talk about a kid in a candy store, how fun is it to gaze over all of those chocolate pieces of heaven and get to select some for ‘free’?! Anyway, after some careful consideration, we made our selections (she allowed me to share in the decision making process). As we exited the store, it occurred to me that any chocolate is a treat, but somehow they seem ‘rated’ and this reminded me of my own profession in the cruise business. We’re frequently asked to ‘rate’ the different cruise lines and it occurs to me that one parent company embodies a similar rating scenario as some chocolates! Royal Caribbean Cruises Limited is the parent to three familiar cruise lines. First, you have the Hershey’s of the cruise industry – Royal Caribbean International; very popular, available to literally everyone, and always a treat. Then there is the sister line, Celebrity Cruises, or I’d say the Dove of this group; widely available, well known, but just a bit more special and a ‘step up’. 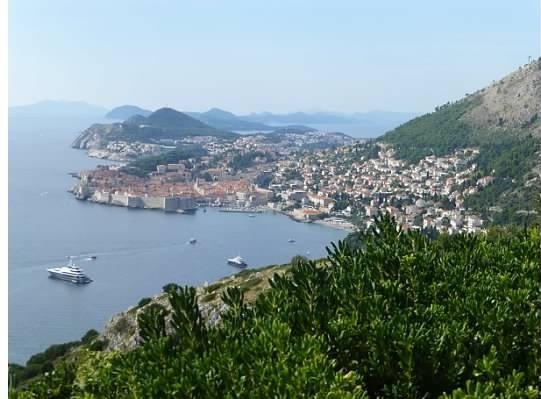 Lastly, the boutique segment – Azamara Club Cruises or the Godiva of this family; definitely a special treat, a little more expensive, but well worth it, and something to savor! OK, so maybe it’s a bit odd to make such analogies, but such enjoyable delights being compared make perfect sense to me; what do YOU think? !